Letting go of Depression: Debunk Depression and Find out the Real Reasons Why You are Depressed! Learn How to Overcome it for Good Using the Proven Methods that Work Over and Over! Discover the real reason you’re depressed and how to feel better now! There is a lot of information out there about depression, but how do you separate the good from the bad? You have to remember that information is not always facts. Most of the information about depression is opinions and theories. Most of it is presented as if it were a “fact” or as if it’s something that “everybody already knows.” The sources of such information are usually from people or companies that stand to make money from selling you a drug or treatment. One thing is certain: In our world, everything is a matter of cause and effect. There is nothing wrong with your brain and drugs will not cure you for the long term. 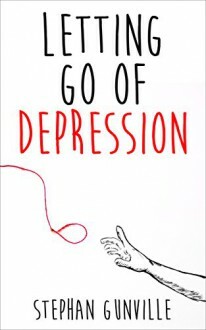 In this book, ill uncover the myths surrounding depression. So how does a person become depressed? What can they do to feel happy in life again? Letting Go of Depression will clearly answer these questions and it is an inexpensive investment you can make for yourself and your happiness. It is likely that if you tell your doctor that you’re depressed, he will prescribe a drug that only masks the real underlying problem. He might even tell you that you will likely have to remain on it for the rest of your life. This is a sham and I created this book to show you that there are ways you can overcome depression and make lasting changes. The fact that you are reading this right now means you are serious about being happy again and you ABSOLUTELY CAN do something about it! Do not let outside influences render you powerless… It’s the 21 first century and some methods have been proven to work over and over again. You just have to be made aware of them.